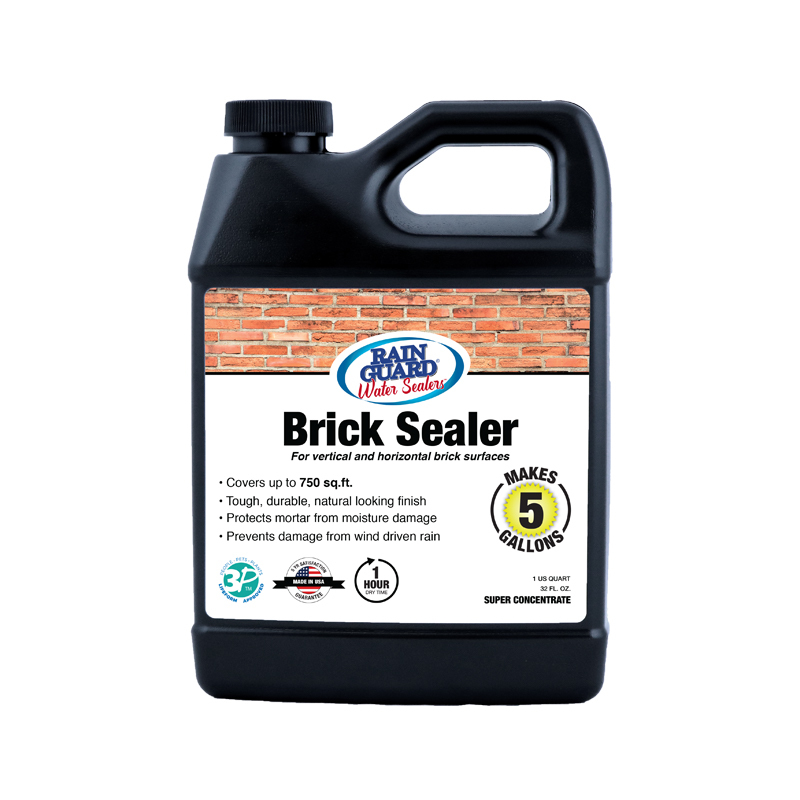 Brick Sealer by Rainguard® is specifically formulated for vertical and horizontal brick surfaces. This blend water repellant’s silane/siloxane blend delivers deep penetrating moisture protection that is long lasting and durable. Our Brick Sealer is safe for people, pets and plants, 100% Eco-Friendly, and comes with a satisfaction guarantee. The sealer is available as an economical easy mix concentrate or ready to use solution to suit your projects needs. Our brick sealer and waterproofer won’t change the appearance of your brick. If you prefer a wet look, our gloss sealer is also available. Looking for a waterproofing stain? We offer stains in four popular colors. Trust Rainguard brick sealers to help protect the look and life of your brick walls and floors. Contact us today to learn more about our products or to get advice about using our Brick Sealer for your next project.